DIRECTIONS: For adults, take one (1) capsule two times daily, preferably with meals. Capsules may be opened and prepared as a tea. Korean Ginseng 500mg is rated 3.5 out of 5 by 6. Rated 1 out of 5 by Lloyd from Didn't do anything for me I have used other ginseng supplements from other retailers with the same stated mg of ginseng with far better results. This did not help at all. With the others I noticed a definitely firmer and higher drive. This did not do either for me, I will not be buying more and will go back to the other brand. Rated 4 out of 5 by SammieKat from You fixed the bottle caps! I have always liked your products, so when you closed the only store nearby, I started buying online. However, you had changed your packaging, and I was unable to open your bottles, I literally had to break them open to use supplements, so I stopped ordering. I recently gave you guys one last try, and found you fixed your bottles. Thank you! Rated 2 out of 5 by JL from Product is fine, however So I have not issues with the product, however pay attention to when you order something. I ordered this and the product was supposed to be "BOGO" or buy one get one free. Well I bought one, but because I left the quantity selected as "1" they did not send the "get one free". Slightly disappointing that Vitamin World doesn't recognize the issue. Rated 5 out of 5 by Paul6 from Great product at a great price I found this paricular version of Korean Gingseng and find it superior to others I have tried. 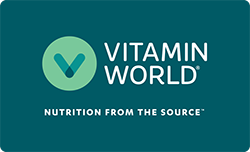 The 2 for 1 specials that Vitamin World make it easy to stock up.